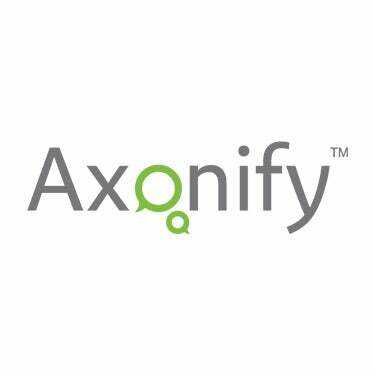 Waterloo, Canada June 4, 2015 – Axonify announced today that the results of its annual customer employee survey are in. The findings confirm employer expectations with 4 out of 5 employees identifying Axonify-based learning solutions improve performance on the job. More than 4,500 employees from organizations including Walmart, PointClickCare, Kaplan, Ceridian and Bloomingdales participated in the 2014 Axonify Customer survey. Respondents indicate that they are significantly more knowledgeable, confident and effective in their jobs as a result of participating in regular learning through the Axonify eLearning platform. The high satisfaction rate with the Axonify eLearning platform is in stark contrast to published findings about how employees at various organizations feel towards traditional Learning Management System (LMS) solutions. In a 2012 Brandon Hall Group webinar, a poll of attendees found 27% of respondents said their company’s employees hated their LMS. This dissatisfaction also transfers to those who make LMS purchasing decisions. A Brandon Hall LMS Trends 2014: Satisfaction and Spending survey shows high customer dissatisfaction, with 47.7% of respondents indicating they are looking to leave their current LMS platform to move to a new provider. Similarly, results from a 2012 eLearning Guild survey show 31.5% of respondents were either dissatisfied or very dissatisfied with their LMS product. Axonify conducts its customer employee survey, year over year, to ensure it is meeting the needs of those on the front lines. From the manufacturing floor, to the sales office, Axonify is dedicated to creating an eLearning platform that works just as well for the C-suite’s bottom line as for the people who are interacting with it on a daily basis. The Axonify platform enables organizations to easily engage employees in the learning process through the delivery of personalized, bite-sized content in the form of daily questions and information in topic areas those organizations care about. Using concepts of behavioral science combined with gamification, Axonify is proven to improve sales and service levels, reduce safety incidents and other areas of loss, and support employee performance across the board. The system creates a real-time, personalized knowledge map, employee by employee, which identifies and closes individual knowledge gaps. Participation and success rates are measured and correlated to specific corporate outcomes that drive revenue or reduce expenses. Axonify is your simpler way to a smarter company, every day.